Find out about the Gilgandra Swimming Pool and Gilgandra Fitness Centre. See an extensive range of museums and galleries Gilgandra Shire has to offer from artworks and exhibits changing regularly, to exploring the history and culture of our area. Coo-ee Heritage & Visitor Information Centre is set in large parklands with with BBQ and picnic facilities and plenty of space for parking. Gilgandra Shire is predominantly an agricultural area with sheep, beef cattle and winter cereal cropping the main enterprises. Gilgandra Shire offers a variety of venues for hire for corporate events, birthday parties, sporting events, weddings and more. 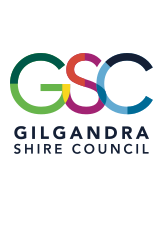 Find out about the cultural heritage of Gilgandra Shire including heritage management, history and the heritage fund. Find out what's happening in your Shire including events, works and projects and venues to hire! Code Club is on most Thursday afternoons during school terms, from 4pm- 4.45pm.